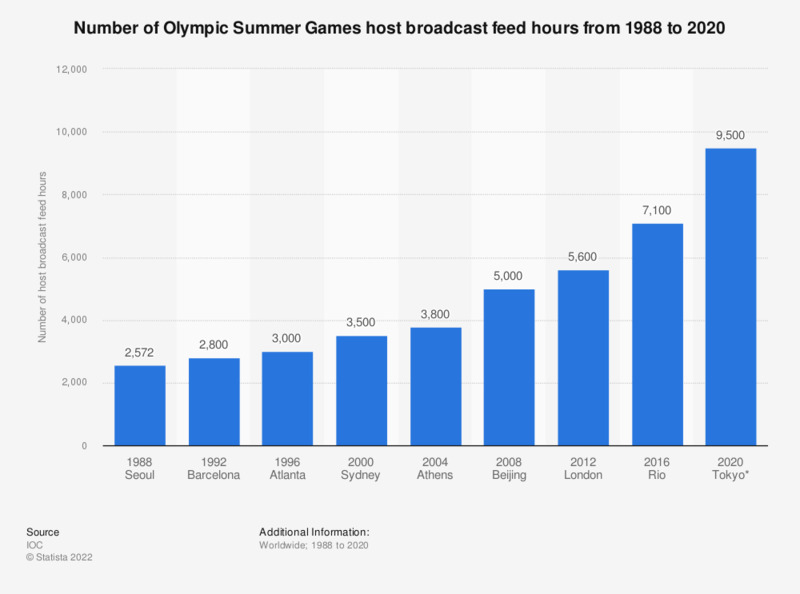 This graph depicts the total number of Olympic Games host broadcast feed hours from 1988 to 2016. The total number of Olympic Games broadcast feed hours for the Summer Games in Seoul, South Korea in 1988 was 2,572. Olympic broadcast programming is generated by the Olympic host broadcast organization, which captures the television and radio signal from each Olympic venue and delivers the signal to the Olympic broadcast partners to air over various media platforms throughout the world. From 2009 onwards, Olympic Broadcast Services (OBS) has overseen the host broadcaster function for the Games.